He might have recused Chelsea yesterday, but Owen still believes he is not good enough. Former Liverpool man Michael Owen has revealed Alvaro Morata is not good for Chelsea and that he is not a fan of the striker. 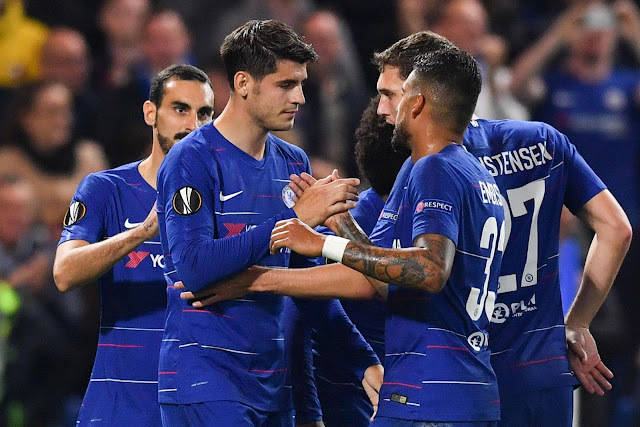 Alvaro Morata's goal recused Chelsea against MOL Vidi yesterday in the Europa League after they tried several times to go pass the visitors goalkeeper. However, Morata wasted a lot of chances in the game and Owen wasn't impressed. During his pundit job with BT Sport after the game, Owen revealed he has never been a fan of the former Real Madrid man.